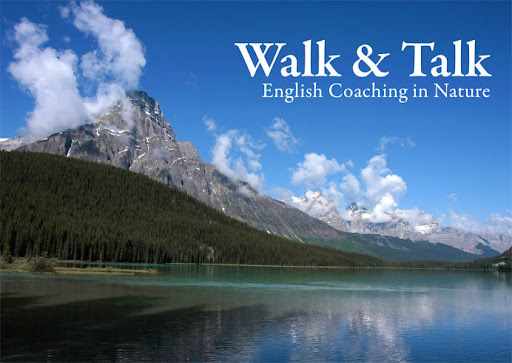 If you have any comments or questions about Walk & Talk in the Salzburg region feel free to contact me. I'm looking forward to hearing from you! How many students would be walking and how long does it take? Walk&Talk ist großartig. Habe nicht gedacht, dass eine Wanderung im Regen so viel Spaß machen kann. Danke Marie für einen gelungenen Ausflug an einem regnerischen Samstag Vormittag, werde Dich weiter empfehlen. - she knows the paths around the local mountains like the back of her hand...an excellent guide! I'm so happy for the positive feedback! I enjoy the experience of Walk and Talk as well and am looking forward to many more (hopefully sunny)days out on the paths this season. "When we walk, we stimulate portions of the brain in the right and left hemispheres, giving us access to more areas of our brains than when we're sitting still..."
Wifi classes are coming to a close for the summer and I'm looking forward to a new season of Walk and Talk. Just come ready to talk and enjoy the fresh air!